1 April 2008: Born in the Bavarian city in 1960, Ulrich Maly is the Social Democratic mayor of Nuremberg (Nürnberg). Educated at the Amberger Straße and the Johannes Scharrer Gymnasium, he grew up in the district of Schweinau and took the community service as an alternative to conscription in the military. Maly joined the Socialist Youth of Germany, the Social Democratic Party’s youth wing, aged just seven and joined the SPD aged 24. 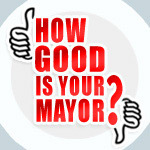 The mayor was ranked fifth in World Mayor 2008. The mayor attended the University of Erlangen-Nuremberg, where he graduated with a doctorate in political science (his thesis being ‘Economy and environment in the policy of municipal development’) in 1990. 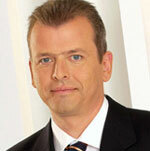 That year he became whip of the SPD group on Nuremberg city council, becoming city treasurer in 1996. Maly was elected mayor of Nuremberg in 2002. In 2005 he joined the SPD’s federal executive and also became the first president of Metropolitan Region of Nuremberg that year. Maly is a representative of the German Cities Association on the EU’s Committee of the Regions. Maly’s term of office has been guided by what he refers to as the solidarity-based politics of ‘Municipal Politics in Dialogue’. He was re-elected in March 2008 with 64 per cent of the vote. As mayor of Nuremberg he counts the following among his executive responsibilities: chairman of the board of various Nuremberg subsidiary companies, such as the Städtische Werke Nürnberg (energy, and public transport provider), the Wohnungsbaugesellschaft Nürnberg mbH (housing provider) and the NürnbergMesse (conference management company). In addition, he is a member of the board of the N-ERGIE (energy supply company) and the Airport Nürnberg.